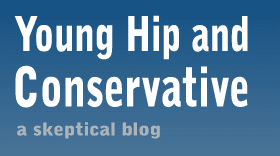 Young, Hip and Conservative: a skeptical blog: Will locovores consume these berries? One of the neighboring towns from where I live has a large, struggling factory that makes the body for BlackBerry devices. As most people are aware, BlackBerry dropped the ball on the smartphone battle and iPhones and Android devices crowded them out of the market. The company is practically dead. However, BlackBerry is trying to hold on and win back a share of the market. It's not going well, as the iPhone is extremely popular and already had a loyal customer base. Knowing that this factory, which is a major employer in the area, is at risk of shutting down because BlackBerry, its biggest client, has flagging sales, would locovores actually put their philosophy into practice and switch to BlackBerry? It's one thing for spoiled hipsters to throw more of their plentiful dollars at a frowny farmer so they can feel better about themselves, but I doubt very many of them would purposely downgrade their smartphone. That's not the kind of sacrifice they are used to making.